We need to ensure communities can plan the right services for the older people in their area. Devolution should help, if only it were properly resourced, as Jim McMahon explains in Take Good Care, a new Fabian Society report. A nation should be judged on how it invests in the next generation, and how it looks after those who have contributed all their lives to our country. On both tests the government has consistently failed. Earlier this year, the Secretary of State for Health announced a forthcoming green paper which will lay out plans to tackle the country’s escalating adult social care crisis. A decade on from the financial crisis and after eight hard years of cuts to local authorities, there has been little action on putting in place a foundation of fair funding for the future. Meanwhile, there has been at best a half-hearted effort to devolve and forge integrated health provision at a city and local level. The green paper must address a range of key challenges. Any discussion on the future of adult social care normally majors around talking about the cash. How much money is needed? Where is the funding going to come from? But what my experience when I was leader of Oldham Council taught me was that it was all very well asking the government for money but the reality of the situation is: first that councils can’t continue to be at the mercy of a government controlling the purse strings; and second, the challenges to adult social care services are so profound, that continuing to pour money into the same tired old paradigm of provision is not sustainable. Yes, we need a properly funded social care system. We know the challenges are great too. Demand for social care provision, like health, is driving up the financial cost – and the government seems caught in the headlights. To illustrate the scale of the challenge, if every elderly person currently waiting to be discharged from hospital into care was in an ambulance, bumper-to-bumper that line would stretch around the coastline of mainland Britain. The cracks run deep into the social care workforce too where there is a shocking turnover and vacancy rate. It is estimated that by 2030 we will need 700,000 additional social care workers. Where poor workforce retention is concerned, cause and effect are at play. We must also not continue to accept the often poor treatment of care workers who are usually paid much less than the real living wage. How we meet today’s demand and prepare for increasing demand in the future is vital. It is telling that where the highest apprenticeship levy payment is £27,000, social care attracts just £3,000. What can be done to stem the crisis, and turn this situation around? Councils are already proving their worth – and there are some key areas where they can take the lead. Despite the overwhelming pressures across all services areas, councils are innovating to meet the challenges to social care provision head-on. Some, like South Tyneside, an area with an ageing population, are integrating health and social care services tailored to meet the needs of its older residents. There, a dementia unit has been built on the grounds of the district hospital providing residential and day care and respite and rehabilitation services. A question that the King’s Fund has asked is whether our market-based system of social care provision can stand up to this growing demand. To do so, it must manage current demand, but also like any capable business it must be able to guarantee its future provision by assessing the scale of demand in the decades to come. A key risk with the market-led model of (largely) independent not-for-profit and private sector care providers – which have replaced traditional local authority provision – is that they will not be able to guarantee provision at a cost that is fair to the purchaser, whether that be the NHS or private payers. Demand management is key, and councils play a key role here. The King’s Fund rightly highlights that ahead of the green paper the government has been talking a lot about the growing demand for social care services, but paying little attention to how we can influence and control that demand now and in the future. Central to this is not only how we actually measure that future demand, but also how we incentivise activities that reduce demand in the first place. Some councils are adopting a greater preventative approach. Southwark, for example, has been recognised by the World Health Organisation for creating an age-friendly borough, making it a safer, happier and healthier place for elderly residents to live. Steps taken include free swim and gym facilities for over 60s, becoming a dementia-friendly borough, and its ethical care charter, which guarantees the London living wage and paid travel time for all home care workers. We need a bold vision at government level – a vision backed up with devolved powers and finance to local authorities. Action is being taken in some areas, but it is still too small scale to determine success. But in the longer term, experiments with devolution and integration of health and social care provision could hold the key to tackling the challenges the country faces. Integration of key services, such as social care, housing and benefits with health is key. Councils must be trusted to deliver this model, and this trust must be backed up with financial powers too. 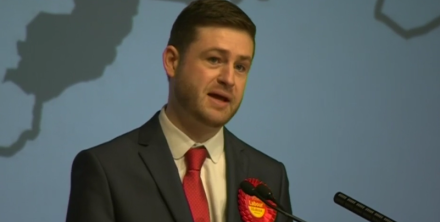 Jim McMahon is Labour MP for Oldham West and Royton and shadow minister for devolution. Jim McMahon is MP for Oldham West and Royton, and a shadow local government minister.